Reminder! Register for the 2017 MCM Hospitality Suite & Get Bus Tickets! 2017 Run Under the Lights is SOLD OUT! The 2017 edition of Run Under the Lights is officially SOLD OUT – for those who didn’t get in, please consider signing up to volunteer! Volunteering still offers the unique experience of seeing the lights on foot. SSL hours are available! Please visit out website www.mcrrcrununderlights.com to sign up! Registration for Run Under the Lights Opening 10/2! RSVP Closes at NOON Today for the Member Appreciation Fall Festival! REGISTRATION IS CLOSING for the Member Appreciation Fall Festival!!! Reminder! MCRRC Member Appreciation Fall Festival! The Parks Half Marathon Needs YOU! Show Your School Spirit at the Eastern County 8K on Saturday! 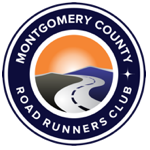 MCRRC 10K Program Starting August 22nd! THIS WEEKEND – Our NEWEST & GROOVIEST XC race! Save the Date! MCRRC Member Appreciation Fall Festival! Members – Please SAVE THE DATE for the 2017 MEMBER APPRECIATION FALL FESTIVAL on Sunday, October 1st from Noon-5 PM at High Point Farm! Please click here to view the 2017 Invitation. The festival is FREE, but we do need you to RSVP! The MCRRC Board of Directors & Staff sincerely hope you can join us! It’s the Going Green Track Meet Friday Night! Parks Half Marathon Gives Back! Registration is OPEN for the 10K Program! Important – Start Time & Location Reminder for Midsummer Night’s Mile! The START TIME for Friday’s Midsummer Night’s Mile is at 7:00 PM and the LOCATION is at Gaithersburg High School! Details are available on our website! We hope to see everyone there! Come out to Midsummer Night’s Mile on Friday Night! Challenge Yourself at This Weekend’s Little Bennett XC! Register for Suds & Soles! Online Registration is CLOSED for Run for Roses! Time is Running Out to Register for Suds & Soles! Join us for our NEWEST & GROOVIEST XC race!